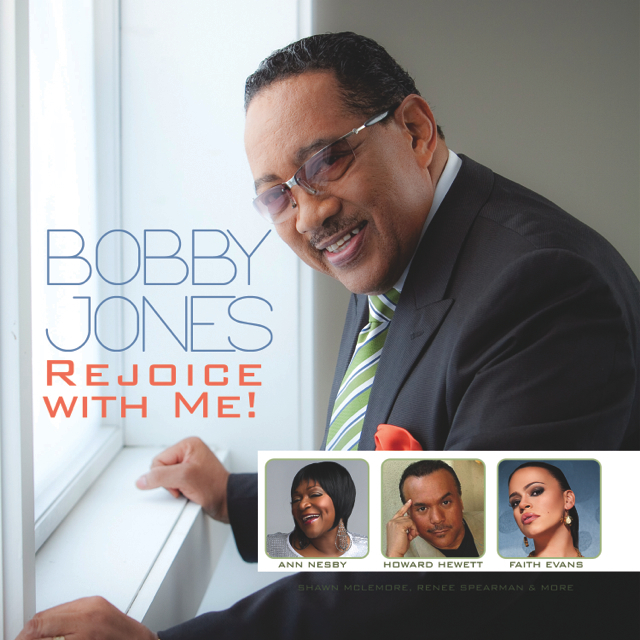 Howard Hewett, Ann Nesby, Shawn McLemore, Tommye Young West, Renee Spearman and Paul Jackson Jr.join Dr. Bobby Jones and his group NSC for Rejoice with Me, his latest offering from Echopark/JDI Recor ds dropping on March 25th. The title cut featuring Faith Evans has been in the top 20 of the Billboard Hot Gospel Songs Chart for three months. 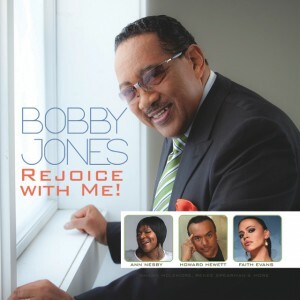 Dr. Jones has been a mainstay on Sunday mornings with his Bobby Jones Gospel Show, the longest running program in cable television history on BET and has released a dozen or so albums over the years. His backing ensemble, NSC (formerly the Nashville Super Choir) joins him weekly on Sunday as well as on the new disc. This entry was posted on Tuesday, February 25th, 2014 at 4:51 pm	and is filed under Album Releases, Artist News and Updates. You can follow any responses to this entry through the RSS 2.0 feed. You can leave a response, or trackback from your own site.